City-centre fights and A&E admissions, fuelled by alcohol misuse, make for high profile media stories. But there are other effects of alcohol misuse, which happen ‘behind closed doors’, that have an influence on family life. The report is based on evidence from two separate pieces of research. The first of these is the Birth Cohort Study (BCS), a cohort study of more than 17,000 people born in England, Scotland and Wales in a single week during 1970. Over the course of the cohort-members’ lives, the BCS has collected information on many factors including alcohol consumption and family life. The current study used information collected from follow-up in 1980 (when the cohort members were aged 10), in 1986 (when they were aged 16) and in 2004/05 (when they were aged 34). The researchers then looked at whether parenting styles had any association with children’s drinking levels at 16 and 34 years of age. The second piece of research involved in-depth interviews with 50 families across the UK where at least one parent was accessing alcohol support services for being a ‘harmful’ or problematic drinker. 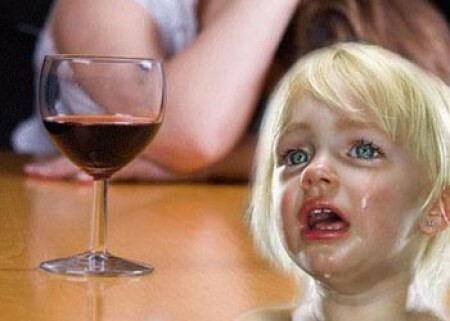 Most of the parents were single mothers, many of whom had started drinking at a very young age. High quality family-based support for parents who are ‘harmful’ drinkers. Alcohol support programmes to focus on parenting and advise on parenting techniques.